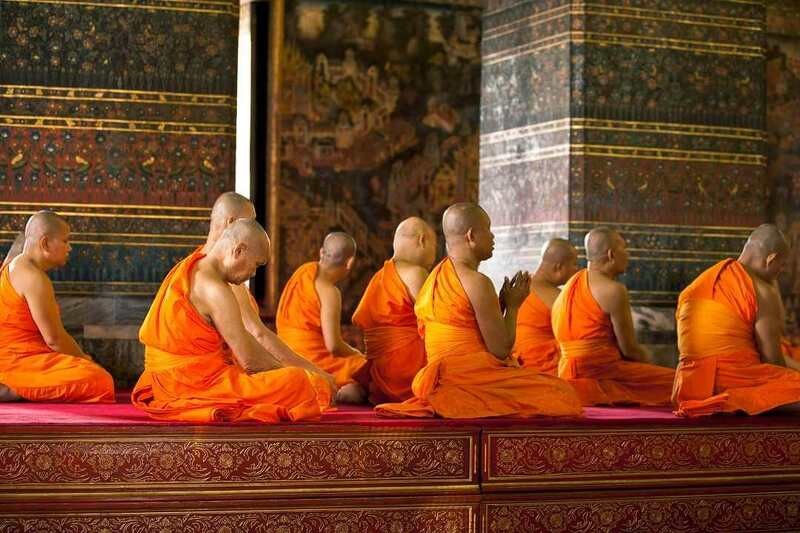 Thailand has over 26,000 temples or Wats (local name). 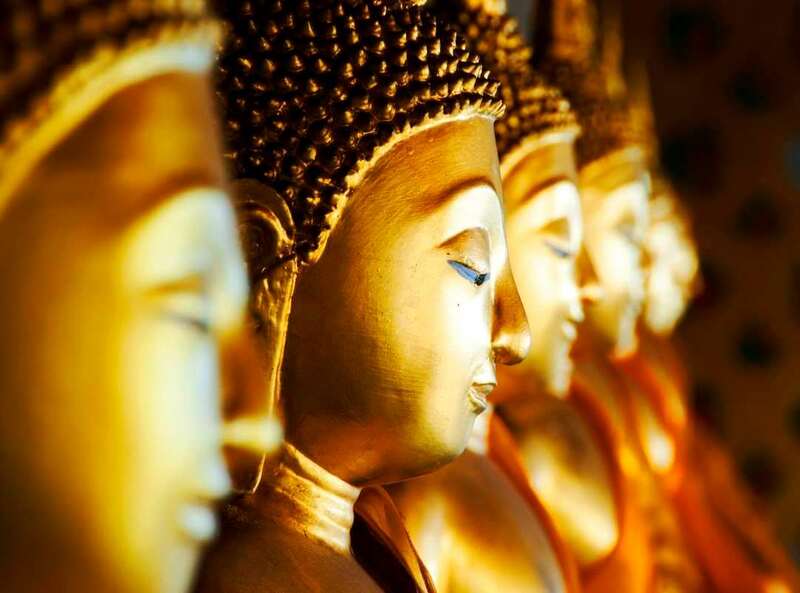 This Half Day City and Temples tour will bring you to three of the most distinguished temples in Bangkok, beginning with Wat Traimit, the temple of the Golden Buddha. Officially titled Phra Phuttha Maha Suwan Patimakon, the Golden Buddha is the world’s largest solid gold statue, with a weight of 5.5 tons. It is a fine example of Sukhothai art and was discovered by chance hidden in a layer of plaster during construction of the temple. Passing through Chinatown the next stop on Bangkok temples tour is Wat Pho, the Temple of the Reclining Buddha which is the largest and oldest in Bangkok. The Buddha’s feet are 5 metres long and exquisitely decorated in mother-of-pearl illustrations of auspicious ‘laksanas’ (characteristics) of the Buddha. Your last stop on this fascinating Bangkok sightseeing tour is the Buddhist temple of Wat Benchamabophit. This magnificent monastery was built with white Italian marble from Carrara and is one of Bangkok’s most beautiful temples.